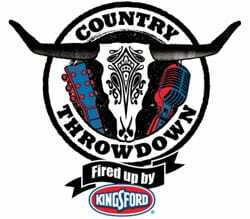 The Country Throwdown Tour and The Boot Campaign have announced the Country Throwdown Tour Contest sponsored by Southwest Airlines. Anyone in the United States can nominate an eligible military family to win a pack of four VIP tickets to one of five stops on the summer 2012 Country Throwdown Tour. The public can nominate a military family whose family member is active duty military or received an honorable discharge within the last two years, resides in the continental United States, and served or is serving any branch of service, including the Guard and Reserve. Nominations will be received from May 24 through June 25. Check contest rules for specific entry periods. Nominate a military family for the Boot Campaign “Country Throwdown Tour Contest” here. At the Nashville Country Throwdown tour stop on July 8, Headliner Gary Allan will be joined by performers Corey Smith, Sunny Sweeney, Eric Paslay, Florida Georgia Line, Maggie Rose as well as special guests Drake White and Jonathan Singleton and the Grove for a combination of classic and innovative country music. The Bluebird Cafe tent will feature emerging singer-songwriters Channing Wilson, Rose Falcon, Carly Pearce and Mama’s Blue Dress. “As we roll into our third summer of Country Throwdown, the team put together a can’t-miss package for true country fans, and we’re excited to spotlight some of country music’s greatest acts,” said tour co-founder and co-producer Sarah Baer.